Savvas Zannettou is a PhD student at the Cyprus University of Technology. Currently, he is working as a Research Intern at Telefonica I+D. 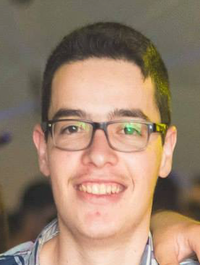 In 2014 and 2016 he received respectively the BSc and MSc degrees in Computer Engineering from Cyprus University of Technology. During 2014, he was a Research Intern at NEC Labs Europe for 6 months where he worked on Software-Defined Networks. His research interests include social networks analysis, deep learning and software-defined networks.